Do you fret over how to word your wedding invitation? How to manage a bridal registry? On a tight budget and want some crafty DIY inspiration? Perhaps you need advice on make-up styles, how to stop the tears ruining your mascara? Welcome to our Expert Panel! 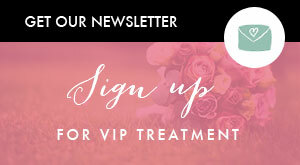 www.brideclubme.com brings to our reader’s advice and opinion pieces from the region’s leading wedding industry professionals, fashion, and beauty and D.I.Y mavens. Who better to dispense with insider information than these hand-selected experts who live and breathe their craft? Our panel recognises how important it is to celebrate your life’s high moment – your wedding! – With personal meaning, deep intention, and an awareness of wishing to giving back to your family and friends on the day. Our editorial team will always be on the hunt for the latest fashion inspirations, wedding trends and news to bring to our readership. However for in-depth knowledge of critical aspects of wedding planning, we will rely on the expertise of our wedding, beauty and fashion industry professionals. Tap into their expertise in our ‘Ask an Expert’ section of the website. Dee Popat is Head of Family Law Department at James Berry & Associates, Legal Consultants, and joins our BCME expert panel as a Specialist in the area of Family Law. We often receive weekly emails from brides and grooms to-be, seeking advice on the legal implications of marrying in the UAE & it is with great pleasure that we can now forward our readers to our expert panelist Dee Popat. Dee graduated with an LLB (Hons) from London Guildhall University in 1996 and is an accredited member of the Law Society of England & Wales, Family Law Panel. 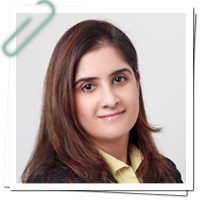 Dee has extensive experience in Family Law both in UK and UAE. She is a competent and thorough lawyer whether in the Litigation arena or utilising Collaborative Law principles. James Berry & Associates also provide legal assistance in other areas of law. Meredith Huston is the Founder and Principal Daydreamer at Turquoise Boutique Studio, a creative arts company with a mission to make it easy for people of all ages to be creative in their everyday life and during special occasions, through DIY event activities, workshops, teambuilding sessions, DIY kits and online tutorials. 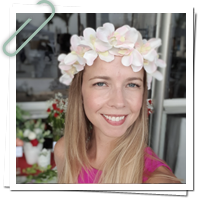 An adventurous DIY enthusiast, she loves to share the newest DIY trends with anyone willing to give it a go, leading over 55 creative DIY workshops and professional teambuilding experiences and provided over 2,000 DIY projects at high-profile events in the Middle East region. 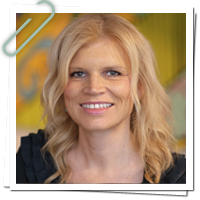 We look forward to learning a lot from Meredith in her ‘DIY & Creativity’ Expert role here at BCME. Brides-to-be who are looking to get creative and embrace DIY for their big day can be sure to receive lots of inspiration and practical tips. Find out more on her social media. Nicola Beer is a world-renowned expert in relationship transformations, a self-love coach, best-selling author and podcaster. She has been fortunate over the past 8 years to help thousands of men and women across the globe to live love filled and vibrant lives. Internationally, she has been featured on ABC, CBS, NBC, Fox News Network, Huffington Post, Your Tango and Wall Street Select. 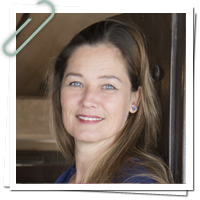 With more than 20 years experience in the luxury Hospitality industry, 4 years as a Travel Designer and a lifetime of personal travel experience, Petra Weidl was the perfect candidate to become our official honeymoon and romantic travel expert. Petra's true passion is travel, having traveled and experienced 50 countries so far in her lifetime. This first hand experience is what inspires and enables Petra to design the perfect honeymoon and romantic travel experiences for her clients. Petra shall be bringing our readers useful honeymoon tips and romantic travel ideas, so stay tuned!